← Who Was Nelson Mandela? 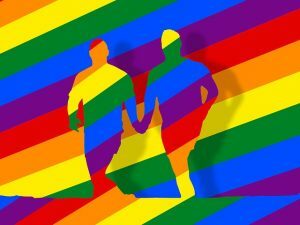 The LGBT community has long been working on its image and what it can do to promote the rights of everyone. This is something they have spoken of every step of the way whether it is as press conferences, events, parades, or any other location. This is the power of a good activist and what they can bring to the table for a group of people. So, who are the leaders in the LGBT community who are well-regarded for all that they have done? There are a few of them and here are the ones you are going to hear about. Yes, the famous transwoman who has become renowned for her work in “Orange is the New Black” continues to stamp her foot down on those who don’t fight for her people. She is well-regarded for her work and is often seen speaking at large events. She is often seen talking about key events in the community and what everyone should stand for as the world progress. It was a few years ago when Dan Savage and his husband decided it was time to help the youth who were going through with living in a society that wasn’t welcoming. The project is called “It Gets Better” and revolves on spreading the word to the youth that society will get better and is getting better with time. This has helped thousands of children who are coping with things they find difficult to discuss. These are the main LGBT activists who have gone a long way in promoting their image and helping people out who are in this situation. They are spreading the word about the rights of those who are in the LGBT community. Without these activists, it wouldn’t have been like it is right now whether it has to do with legal rights or general rights. These LGBT activists are people who have put in the effort for those who need it the most and continue to do so to this day. The famous Star Trek actor has revealed himself as a gay man and often talks about the rights of the LGBT community.